Does your child spend most of his day bouncing off the walls? Have you ever considered that he might be part kangaroo? It's actually a more common occurrence than you might think, but there's a simple test you can take to find out. The first step, is to dress him up in this Child Kangaroo Costume. The next step is to observe. If he starts hopping around the living room with reckless abandon, then he's probably part kangaroo. If he doesn't, then at least he has a fun Halloween costume to wear for trick-or-treating! Some people bounce off the walls like Tigger and others just feel a little melancholy. It's okay though, even though Eeyore's sad some of the time, he still has a whole crew of friends who're there to hang out with him, during the good times and the bad. That's why you don't have to worry when you wear this Eeyore kit, because all of characters of 100 Acre Wood are sure help you out (except maybe Rabbit - he's kind of a downer himself). Every group needs their Eeyore. He was always the realist, and sure he was glum, but he was always willing to help all the Hundred Acre Woods residents. If your child is partial to the adorable little donkey, then they're sure to like this Infant Eeyore costume. They may not show it (in true Eeyore fashion), but they'll love it! What exactly is a Pooh? Well, he's a bear. Stuffed with fluff, as they say. He's yellow, he loves honey, and although he's a bit dimwitted, he has a big heart. But that still doesn't really answer what a "pooh" actually is! It may be one of those things that will always go unanswered. For all of us, the word simply means a lovable bear from the Hundred Acre Wood. 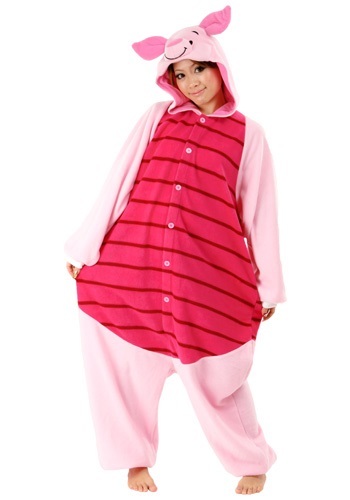 Our comfy cozy Winnie the Pooh costume is in a pajama style, so it's perfect for Trick or Treating (but avoid Rabbit's House, he only gives out carrots) or just lounging around with Piglet on Windsday. Hunny not included! You don't need to be big to do big things! Just look at Winnie the Pooh's best pal, Piglet. That little guy does all kinds of great things despite being a little shorty and all his friends respect him for it. So, how about it? 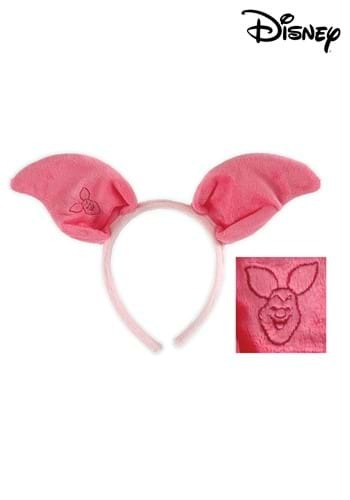 Are you ready to put on these ears and do some big things in 100 Acre Wood? Winnie the Pooh has tons of pals, but none quite like Piglet. Piglet's scared of everything - probably even going down the stairs to get some oatmeal, but that doesn't stop him from helping out his friends when they need him! 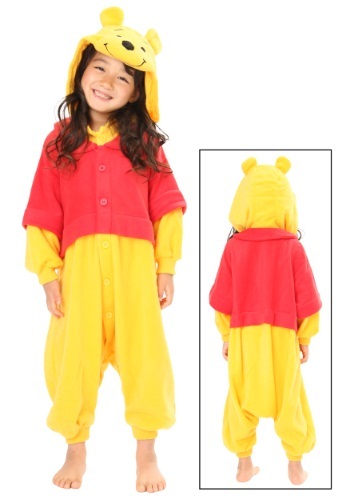 Of course, when you put on this pajama set based on the character, you may just feel too cozy to do anything take naps with Pooh all day long. Look who is coming to hang out! It's Winnie the Pooh! 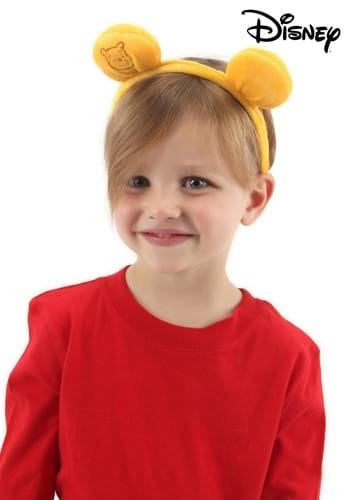 Everyone will be happy to see you when you are wearing these adorable Pooh Ears. 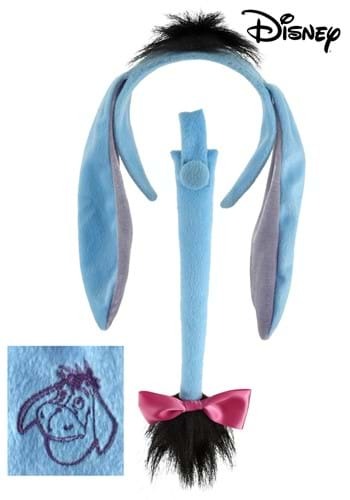 You can assemble your own unique Winnie the Pooh costume with the help of these ears! Do you think this little guy could pull off the great honey pot robbery? Maybe with the help of his friends Eeyore, Tigger, and Piglet he could. 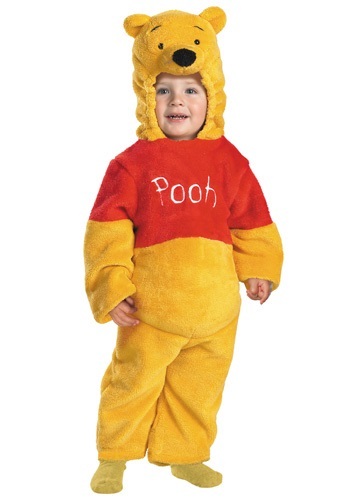 Wrap your little one in this ultra soft Prestige Infant Winnie the Pooh Costume. It's everything you need to keep your baby warm and adorable while celebrating his very first Halloween! Do you want to hop around? Well now you can with as much joy as Tigger does with this great kit. 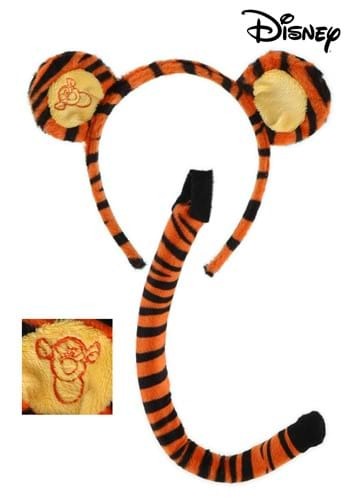 Slip on these ears and put on this tail and you'll be ready to bounce around the Hundred Acre Wood! 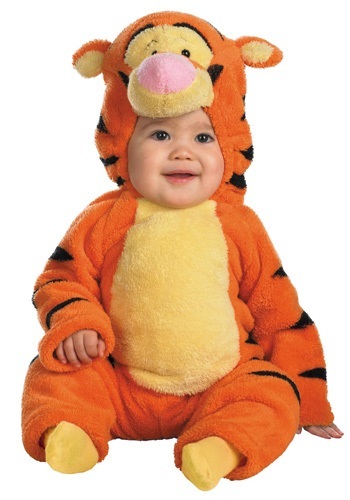 Dress your bouncing baby in this Toddler Deluxe Tigger Costume, either alone or as part of a Winnie the Pooh group with siblings or friends. Get a Winnie the Pooh treat bag to go with it for total Halloween fun! Your little one never looked more adorable as the honey-loving stuffed bear Winnie the Pooh than in this Toddler Deluxe Winnie the Pooh Costume! Let your little one have an adventure through the Hundred Acre Wood along with Tigger, Piglet, and Rabbit this Halloween.